This is Jack's third season with Emerging Elites. 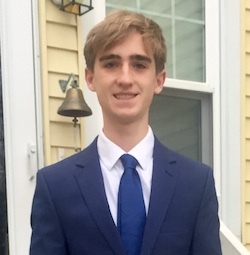 He will be a junior at North Andover High School next year, focusing his studies on math, science and spanish. Outside of running, he enjoys skiing, fishing, camping and international travel. He is originally from Denver, Colorado and lived in Brisbane, Australia before moving to Massachusetts in 2014. In addition to cross-country and track, he has competed in Australian Rules Football, field hockey, baseball, soccer and swimming.